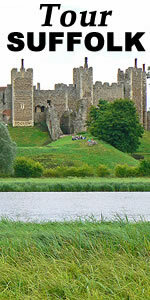 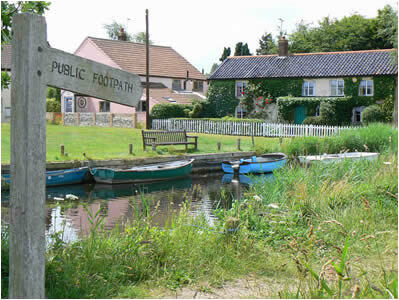 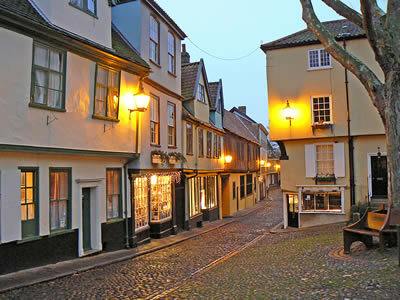 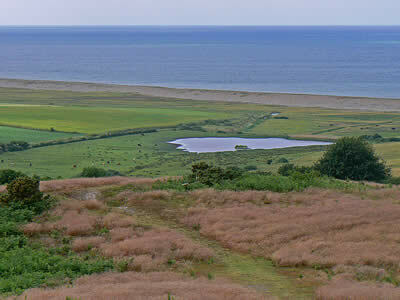 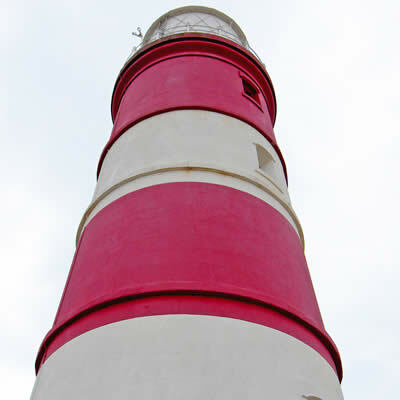 Due to its long coastline, Norfolk has always had a strong connection with the sea, and this has led to the building of some fine lighthouse and piers. 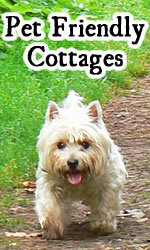 Many of these have been adapted over the years and not all have survived. 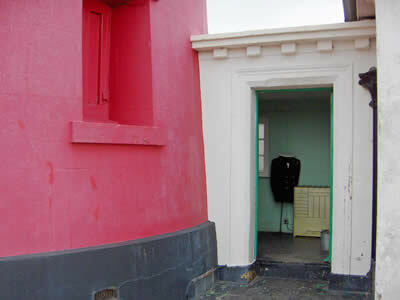 Some lighthouses have been converted to private homes and many of the piers have been destroyed by the sea or in a fire. 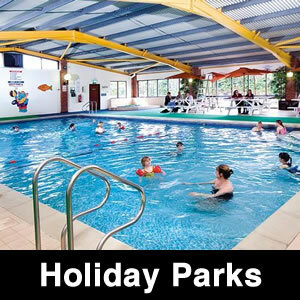 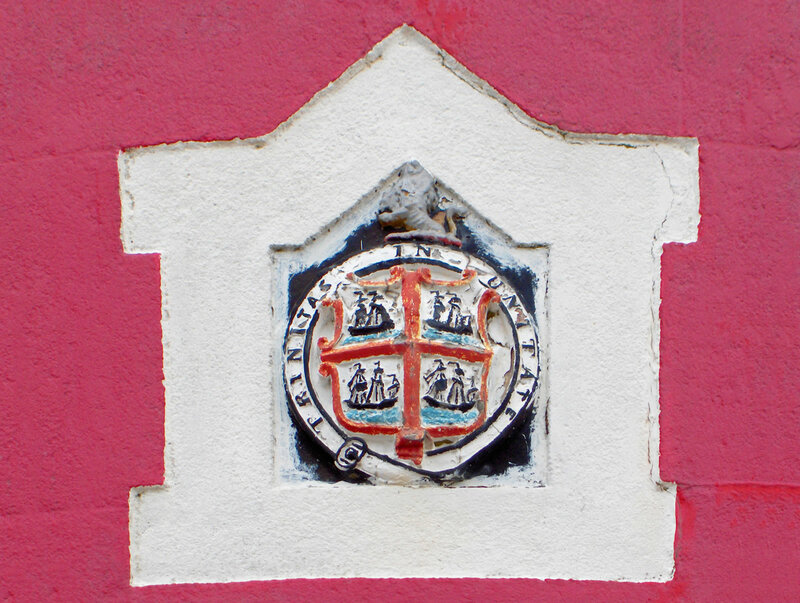 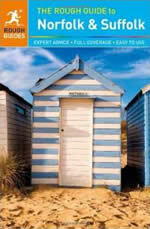 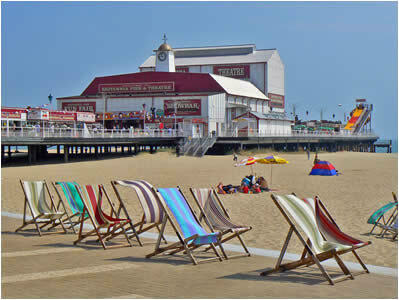 However, some classic examples of these famous seaside icons still exist and they are well worth seeking out. 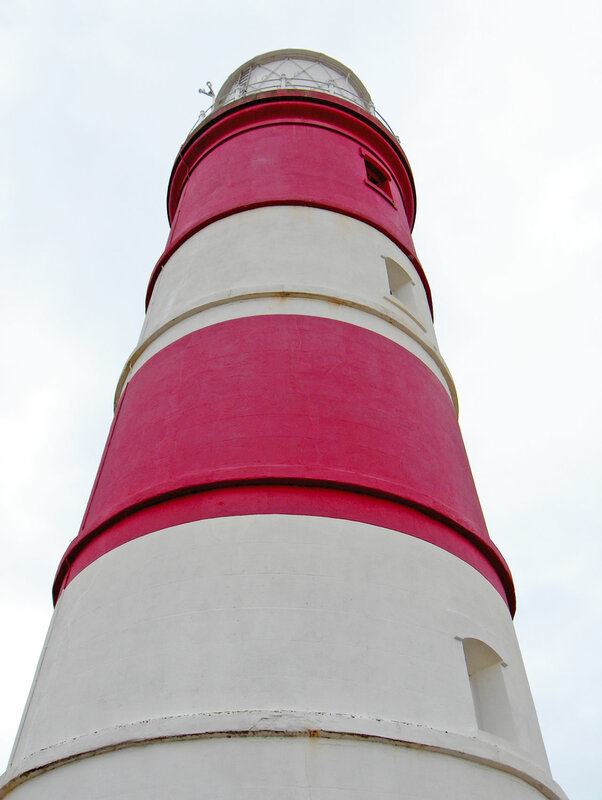 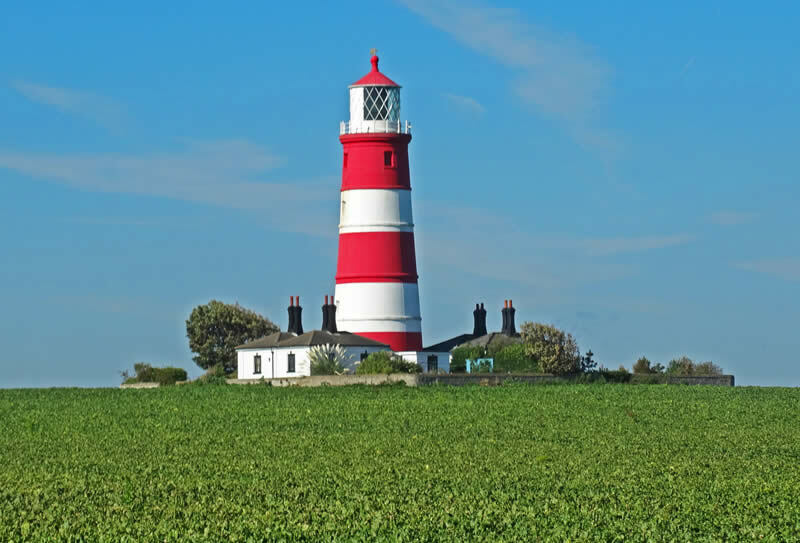 The red and white striped lighthouse at Happisburgh was built in 1791, originally one of a pair - the pair formed leading lights marking safe passage around the southern end of the treacherous Happisburgh Sands - but it was not always effective, as the graves in the churchyard show. 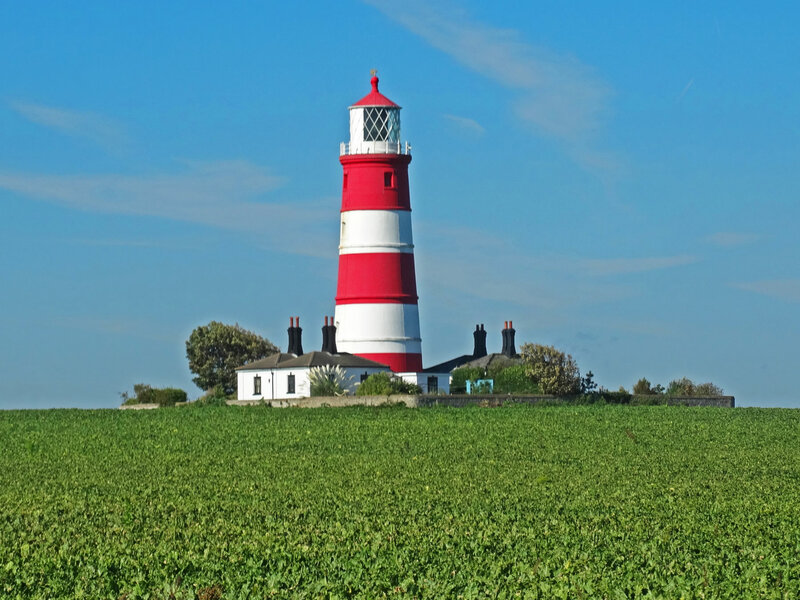 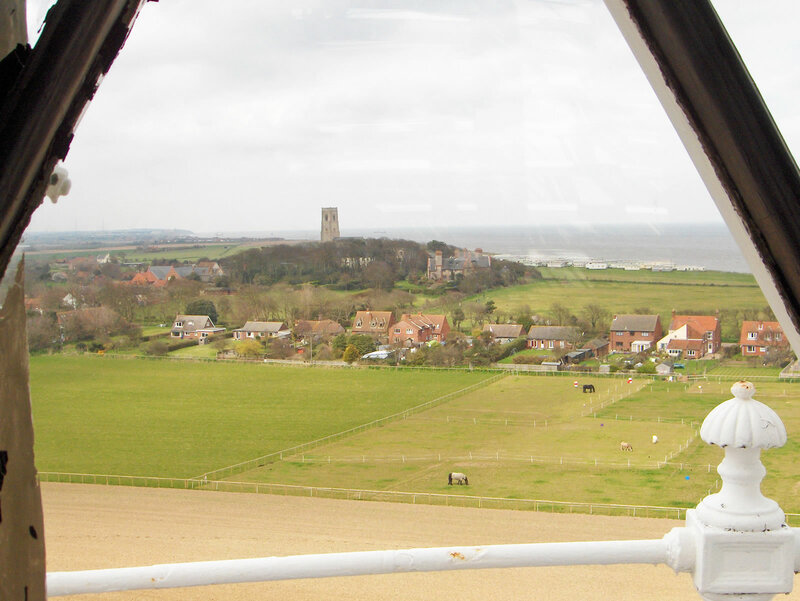 Happisburgh is the only independently operated lighthouse in the UK, having been declared redundant by Trinity House in 1987. 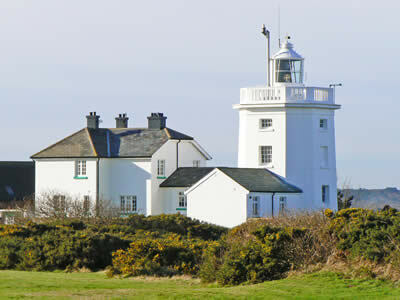 The lighthouse opens its doors to the public on certain weekends during the year. 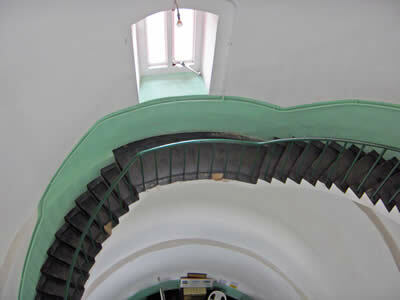 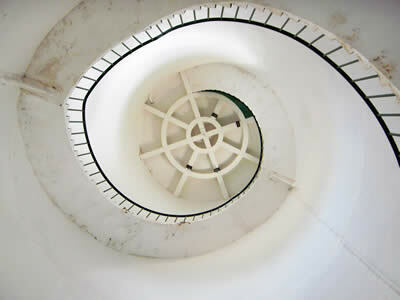 Inside, the 96 stone steps wind their way up the inside to the light at the top (134 feet above sea level). 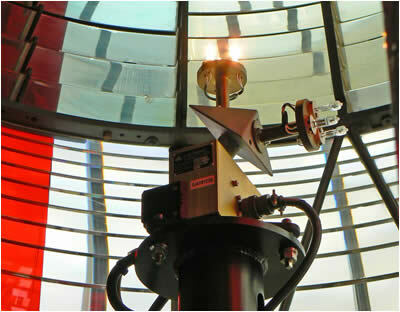 When you reach the top, you can see the working lamp, 500 watts of light and visible for about 18 miles. 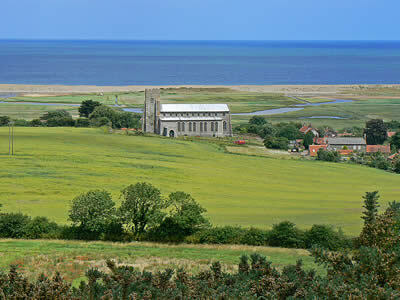 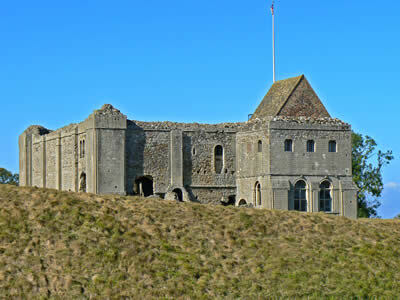 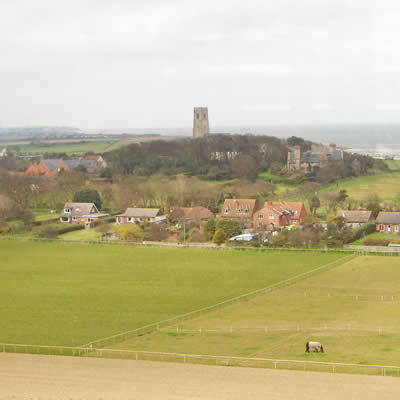 The views of the coast and village are spectacular - on a clear day you can see for about 13 miles. 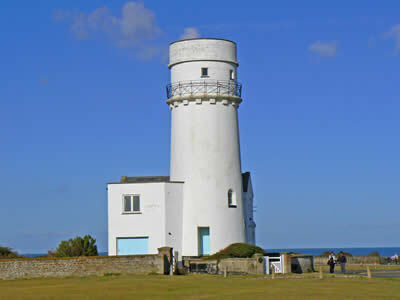 Hunstanton Lighthouse has been warning shipping of dangerous sandbanks in the Wash for many hundreds of years. 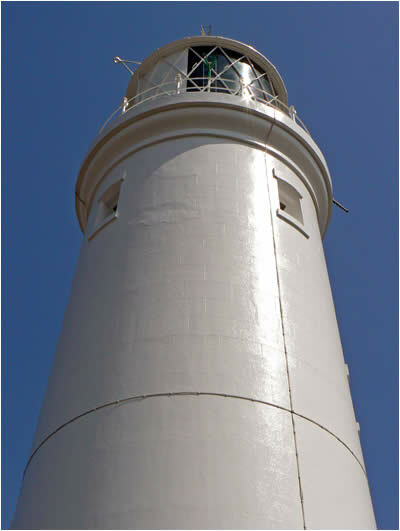 The first Lighthouse was built here in 1666, it was built of wood with an iron basket of burning coals as a light; the current building dates back to 1844, with the light operating until 1922, when it was closed down and the lantern taken off. 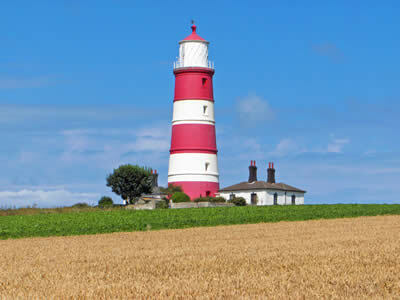 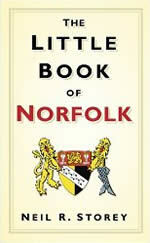 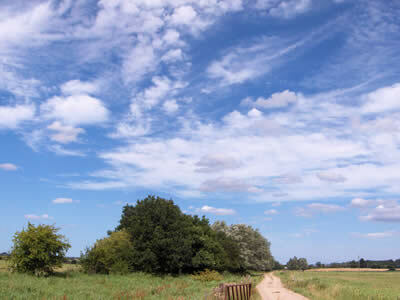 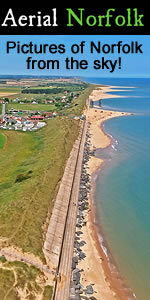 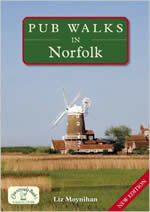 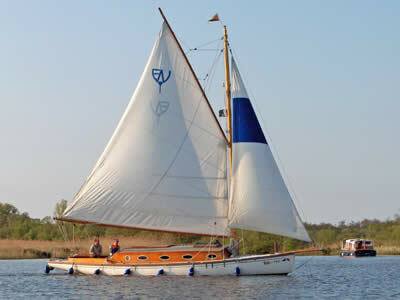 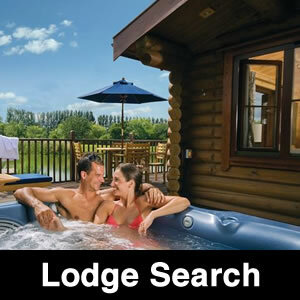 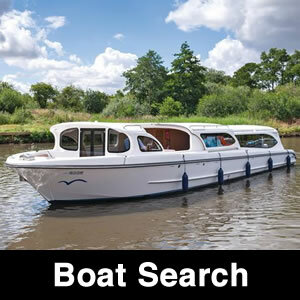 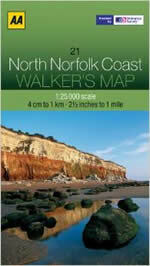 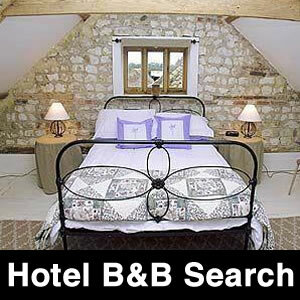 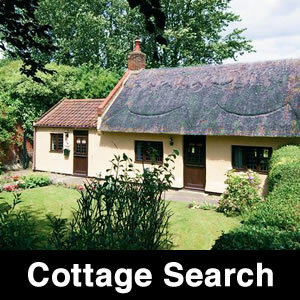 The lighthouse is now a private holiday home that you can hire from Norfolk Country cottages. 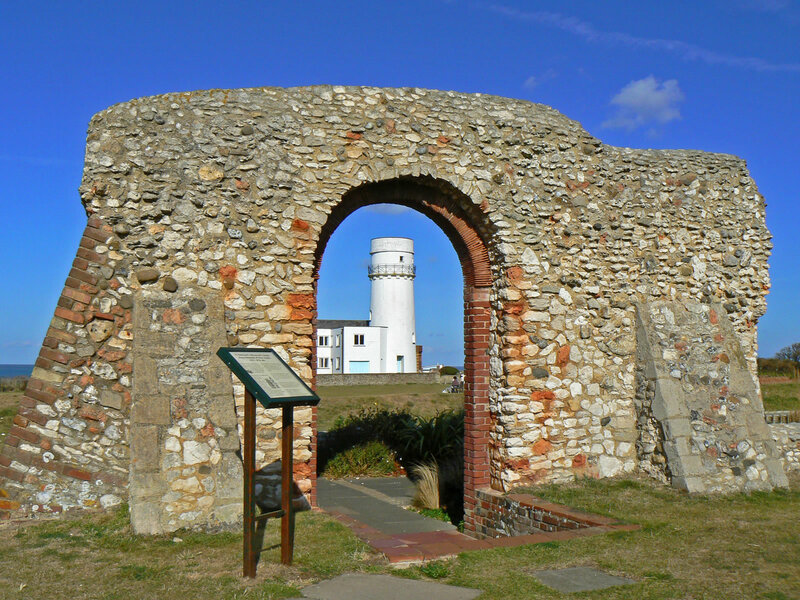 Next to the Lighthouse you will find the ruins of St Edmund's Chapel which dates back to 1272 and it is claimed that it was built by monks to celebrate the arrival by St Edmund in 855. 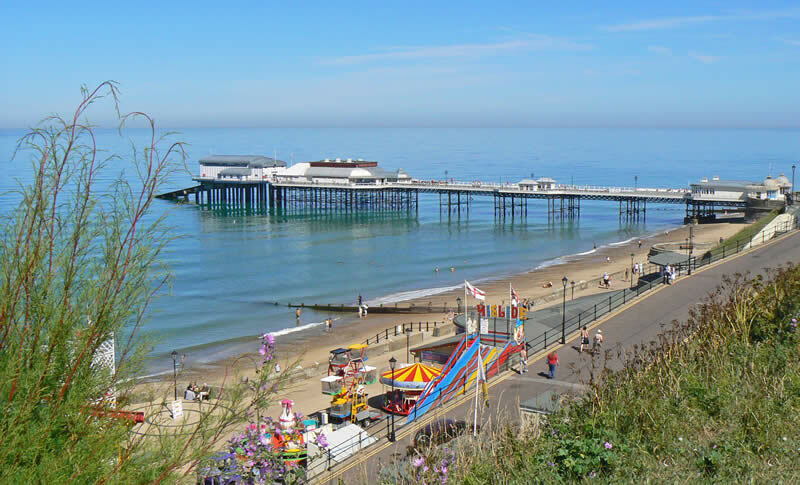 Cromer is a Norfolk resort with both a pier and a lighthouse! 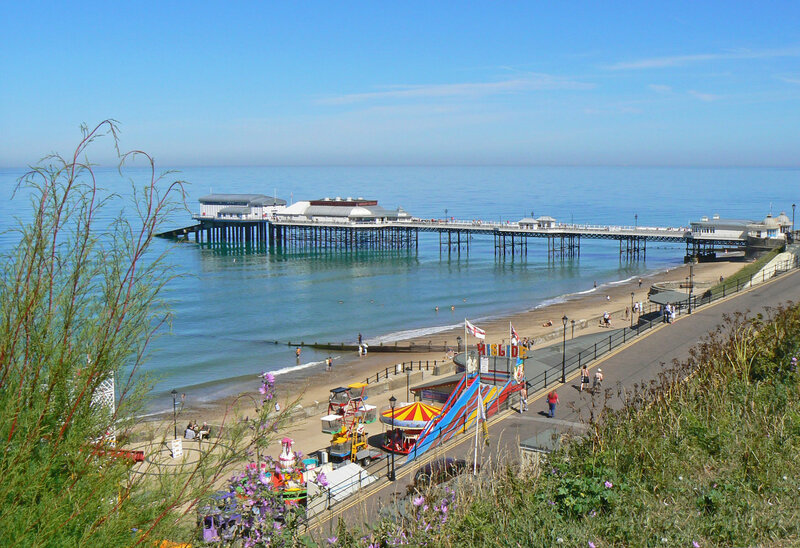 Cromer Pier is around 450 feet long and was built in 1900 for a cost of about £17,000. 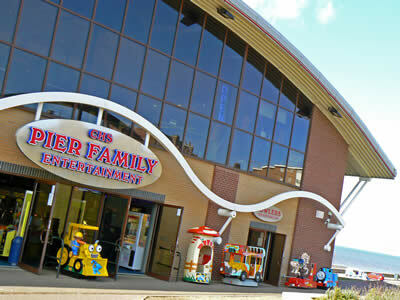 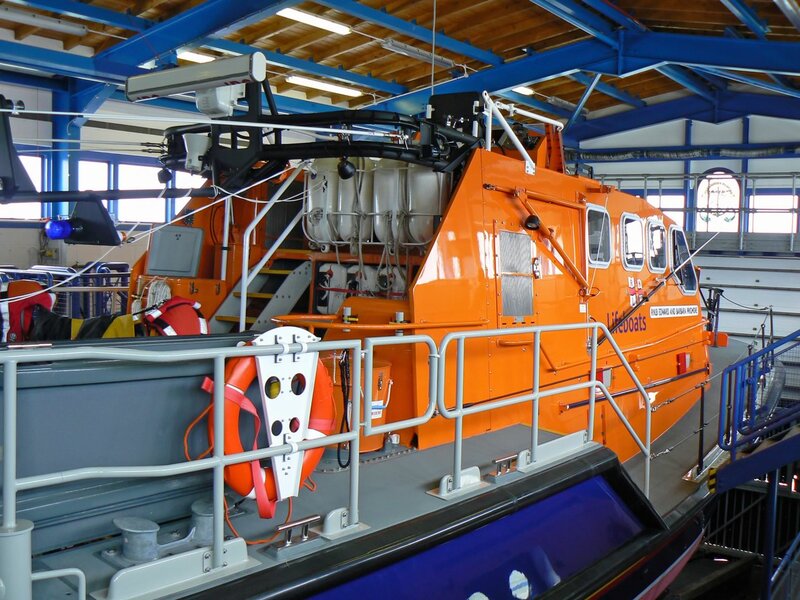 The pier has a theatre and a working lifeboat station that you can visit. Cromer Lighthouse was originally built in 1680, but the present lighthouse, a white octagonal tower, was built in 1833 and converted to automatic operation in 1990. 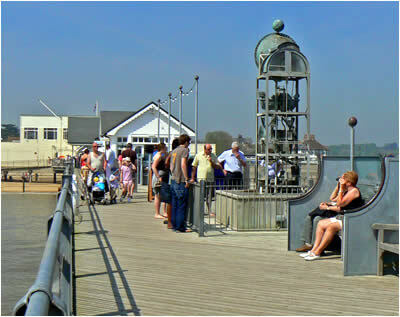 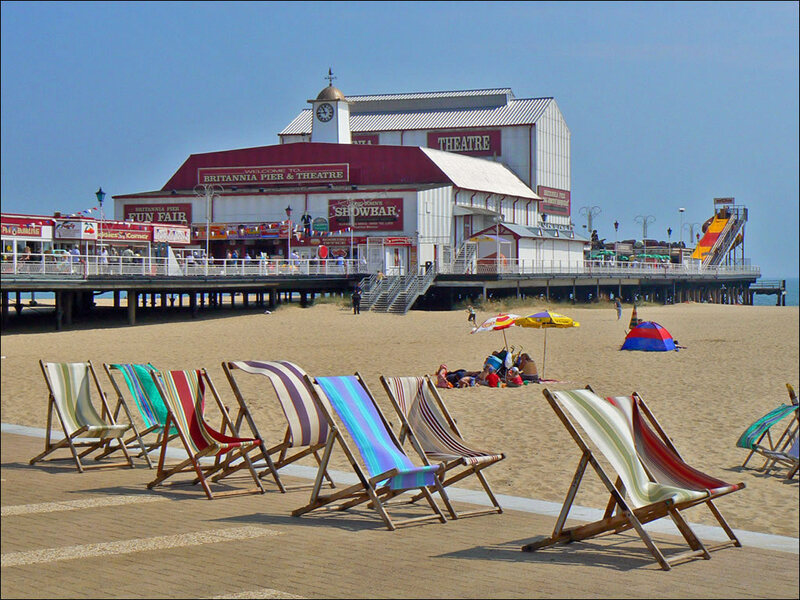 At one end of Marine Parade in Great Yarmouth is the famous Britannia Pier. 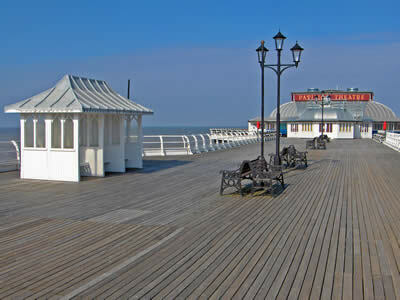 The original wooden structure was opened in July 1858 at a cost of £3,158s. 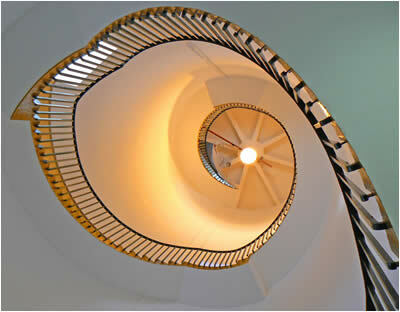 It measured 700ft long but was badly damaged by the schooner 'James & Jessie' only a year later! 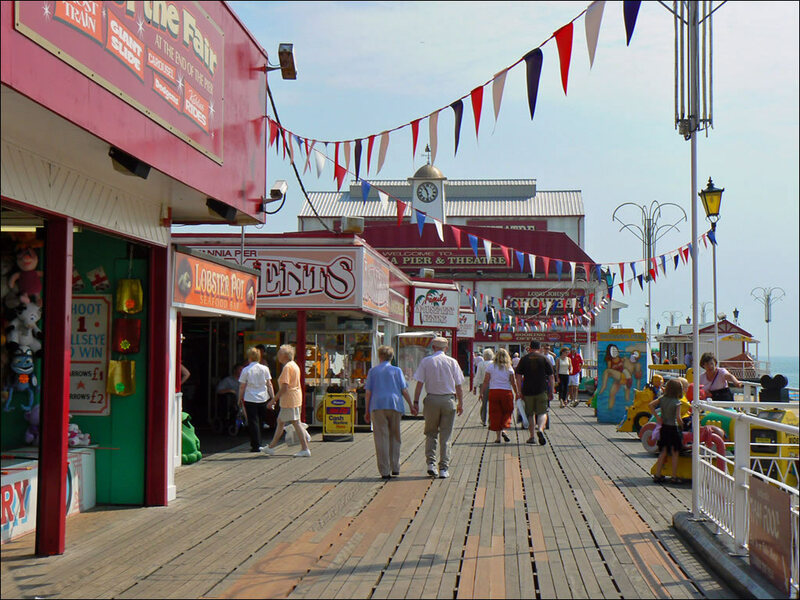 In the 20th century, the wooden structure was replaced with a wooden/steel construction with a grand 2000 seat pavillion, opening in 1902. Only 7 years after the pavillion opened, it suffered a fire, a 2nd pavillion opened a year later but burn't to the ground in 1914! 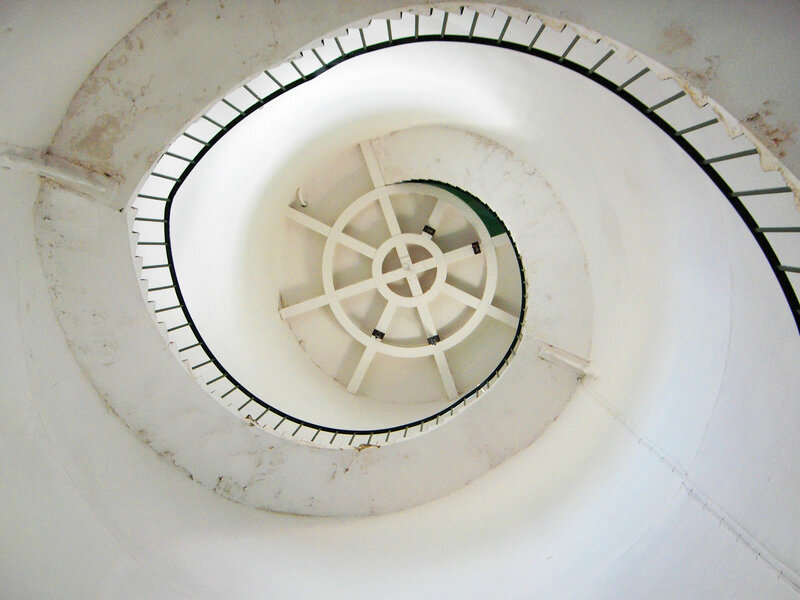 The 'Floral Hall' Ballroom, which opened in 1928, was only to survive 4 years - you guessed it, destroyed by fire - this was rebuilt and opened again in 1933. Amazingly, the pier survived the war, but was destroyed by yet another blaze in 1954! 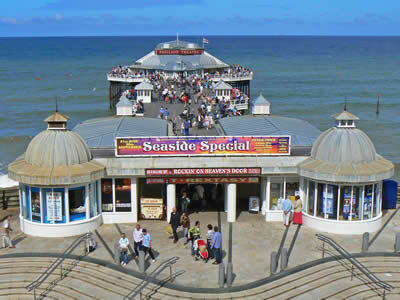 The 4th pavillion was rebuilt and opened in 1958. Amazingly, this construction has survived! 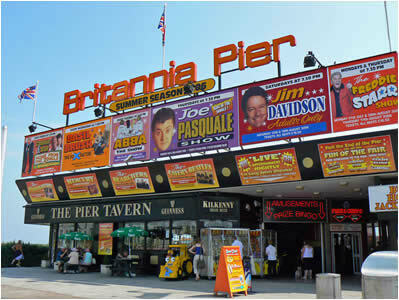 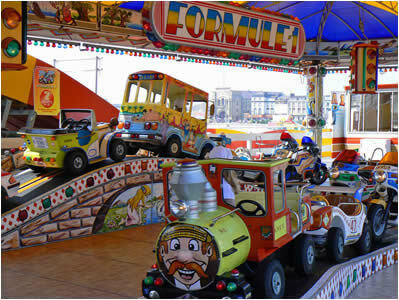 As well as the theatre, the pier has a number of rides and stalls. Various other lighthouse and piers in Norfolk include structures that have either gone into private hands or had their use adapted in some way. Two examples are Winterton on Sea lighthouse, that has been converted into a luxury private dwelling - and Hunstanton Pier, much of which was destroyed by fire in 2002, with the remains converted to an entertainment centre. 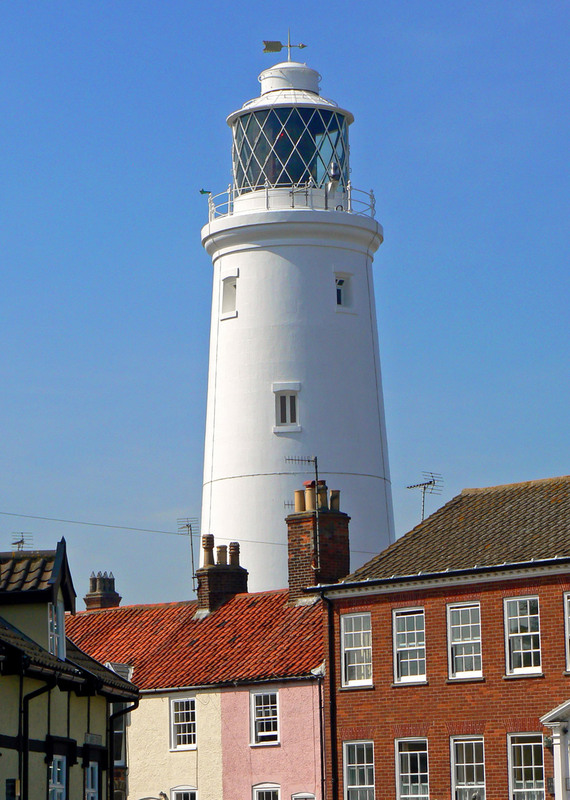 Just down the coast in nearby Suffolk is one of the best known lighthouses in the whole of East Anglia, Southwold lighthouse. 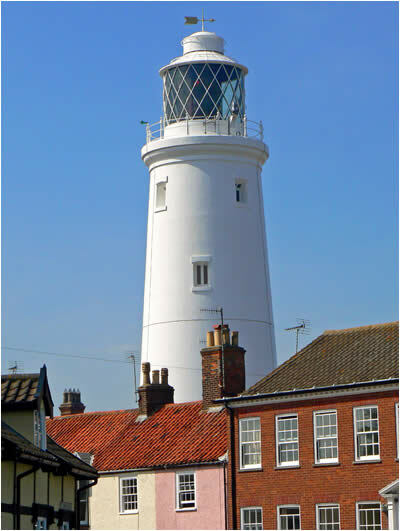 This lighthouse was constructed by Trinity House and first came into operation in 1890 as a coastal marker for passing ships and as a guide into Southwold Harbour. 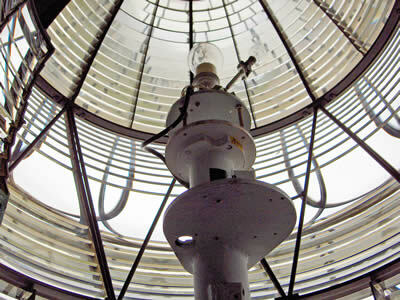 The original light was lit by oil and then petroleum vapour, finally converted to electricity in 1938, when the lighthouse also became unmanned. 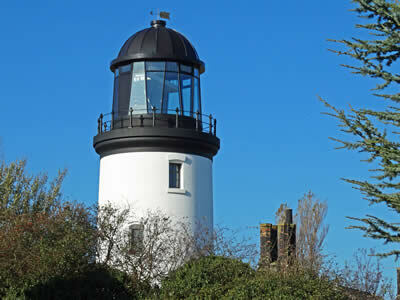 The lighthouse opens its doors on certain days and you can climb the 100-feet to the top to view the lamp close-up and get great views over the town and coast. 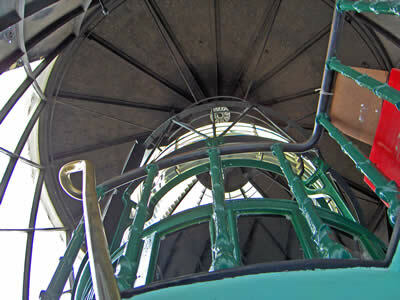 92 steps to the top of the lighthouse! 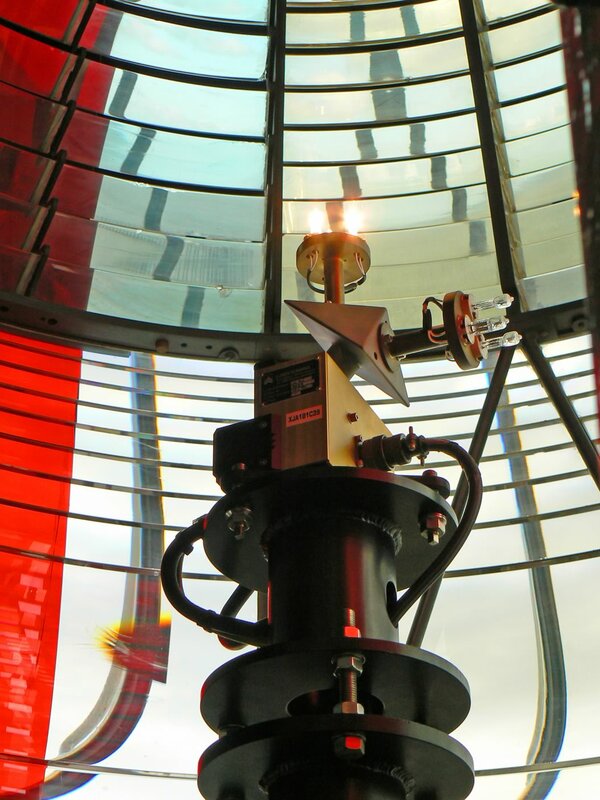 The light is powered by 3 small 12-volt bulbs! 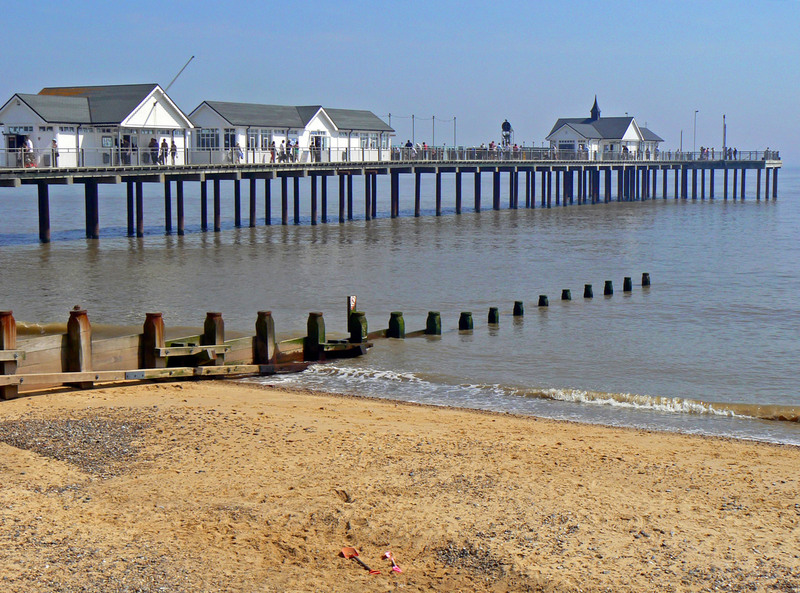 Southwold also has a Pier. 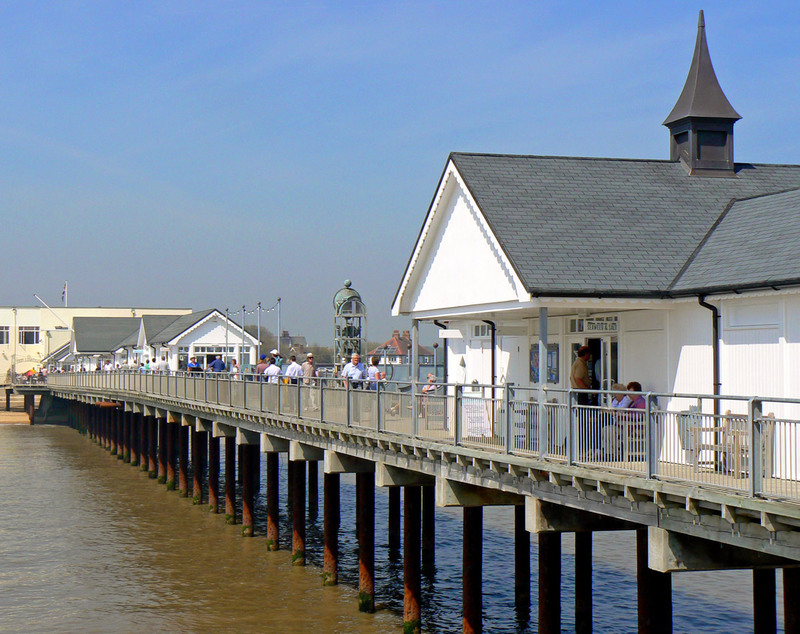 The "T" shaped pier started life in 1900 as a landing jetty for steamers that used to run from London Bridge to Great Yarmouth, back in the days when we would travel by sea. 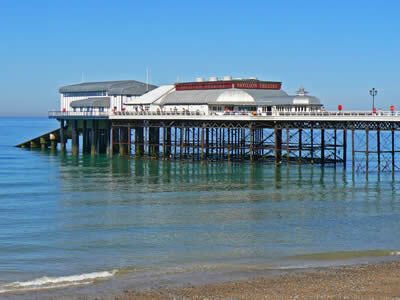 In 1934 a storm badly damaged the pier and various sections were destroyed during the second world war. 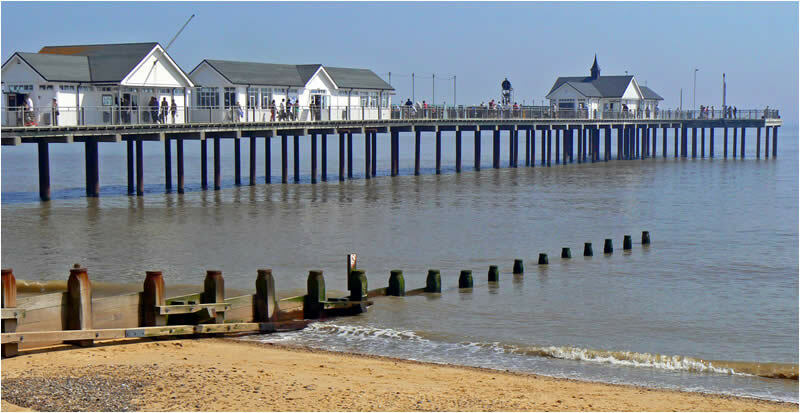 During the 50's and 60's the pier continued to weaken until finally in 1979 a storm reduced it's length to a mere 60 feet!! 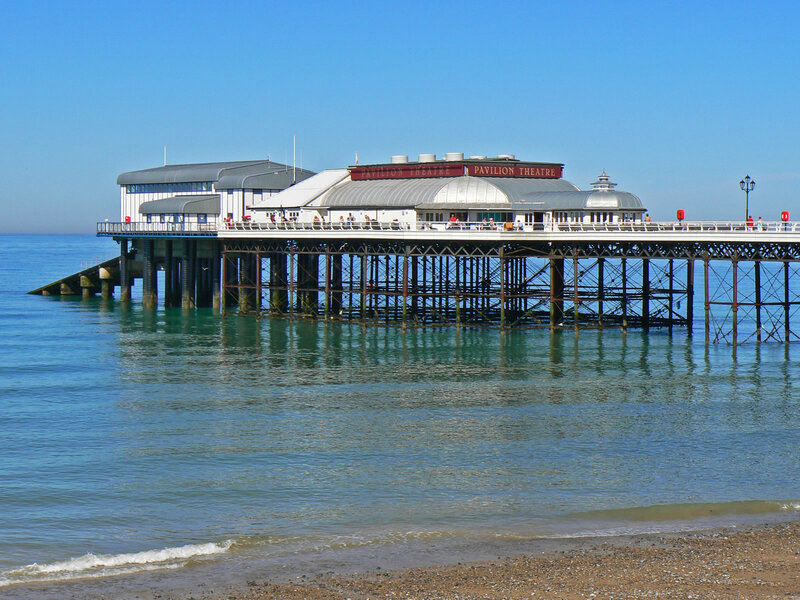 Thanks to a private purchase, the pier was eventually rebuilt using the latest piling techniques and finally reopened in 2001. 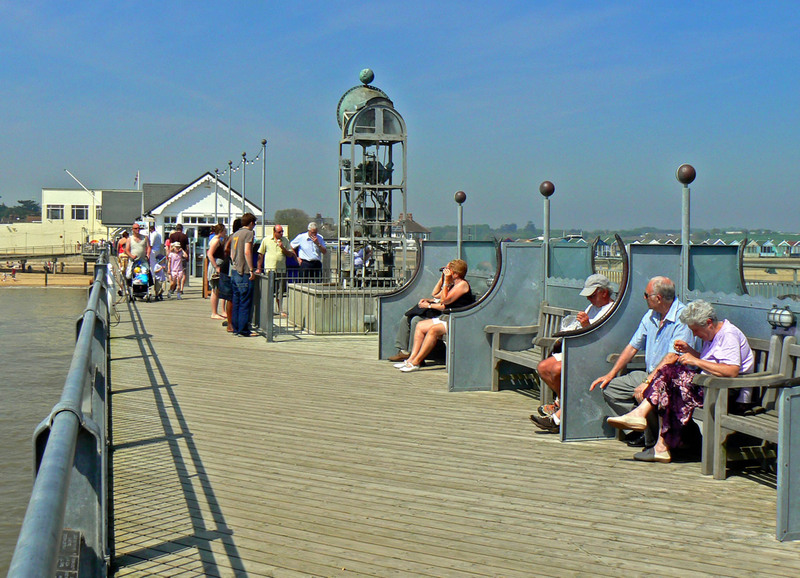 The rejuvenated pier was named "Pier of the Year" in 2002 and its length of 623 feet allows it to accommodate occasional visits by Britain's only surviving sea-going passenger steamer, the Waverley. 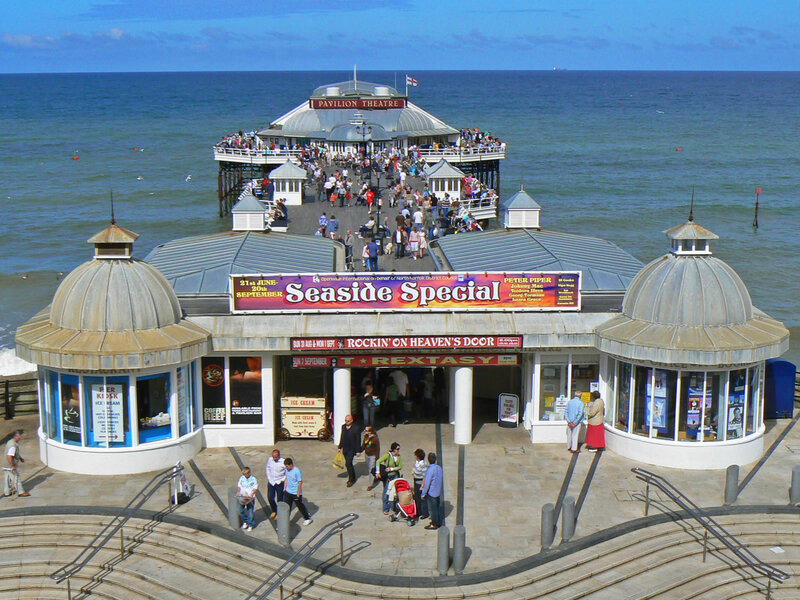 Today the pier houses various leisure and refreshment facilities and is one of the major attractions on the Suffolk Coast.